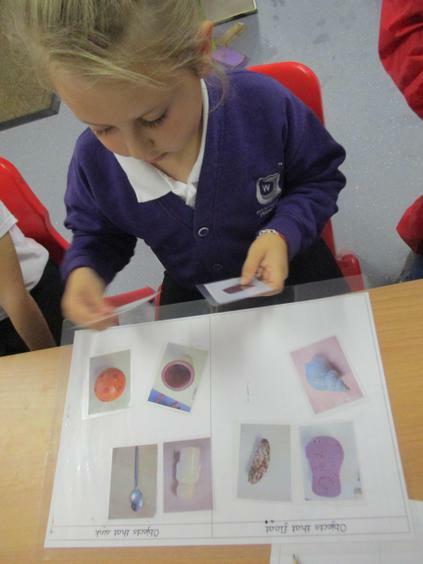 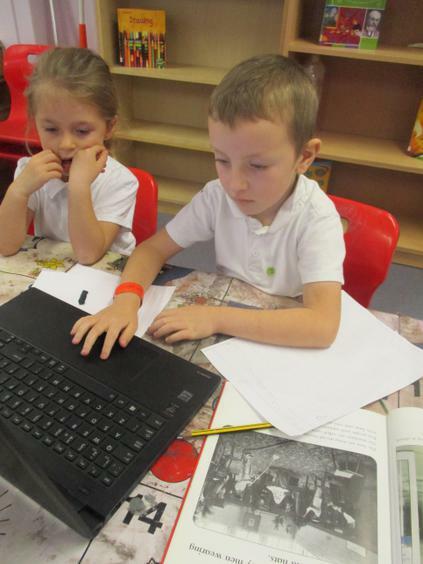 Learning in Key Stage 1 is delivered through an enquiry based approach underpinned by the national curriculum. 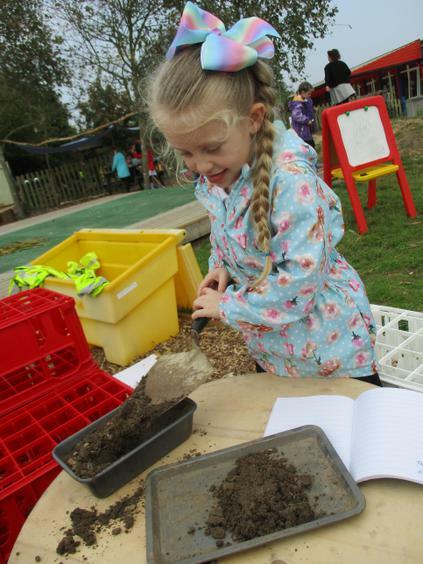 We believe that our children learn best when inspired and motivated by their own interests. 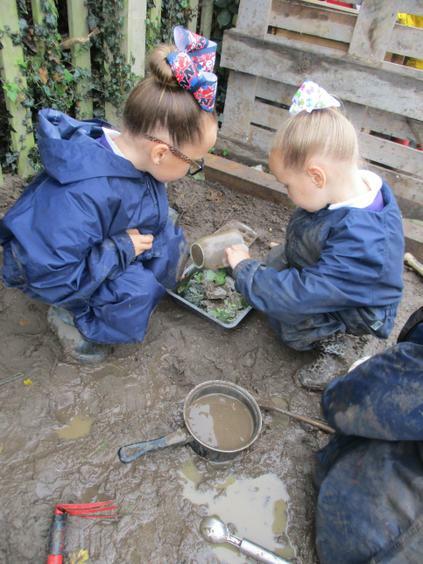 Skilful adults enable this to happen through a well-planned, captivating environment that is carefully mapped across all areas of the Year 1 and Year 2 curriculum. 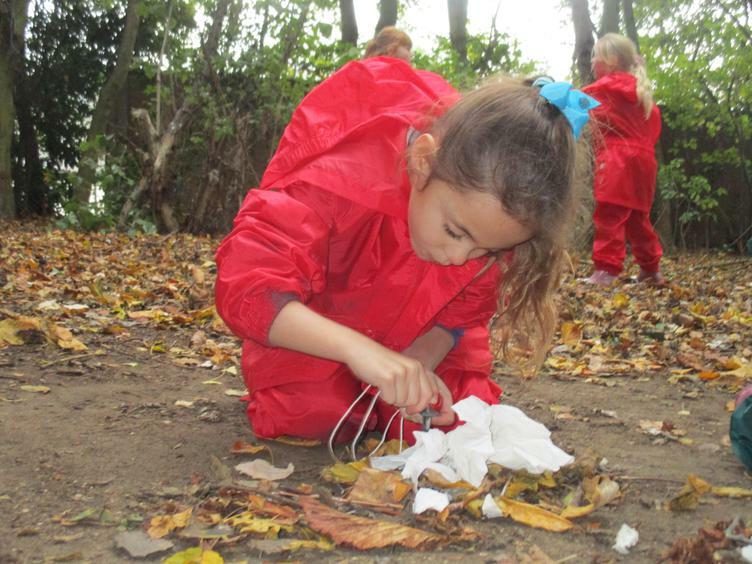 The children benefit from whole class teaching, adult directed activities and self-initiated learning through continuous provision. 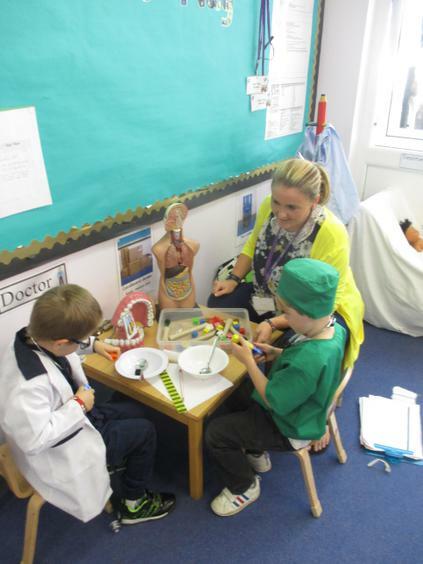 In Key Stage 1 we encourage our children to demonstrate our Westwood learning behaviours. 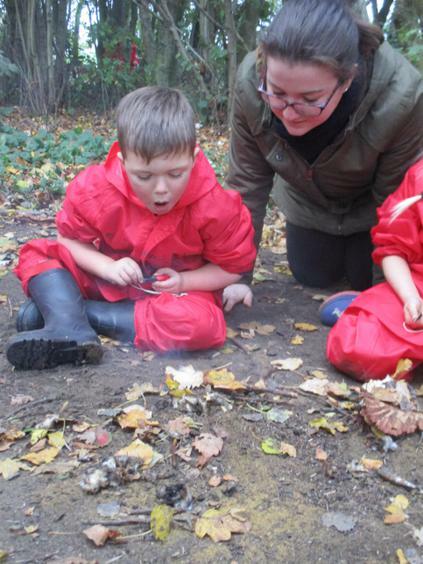 These behaviours are the ways in which the children engage with others and their environment and take their own learning forward. 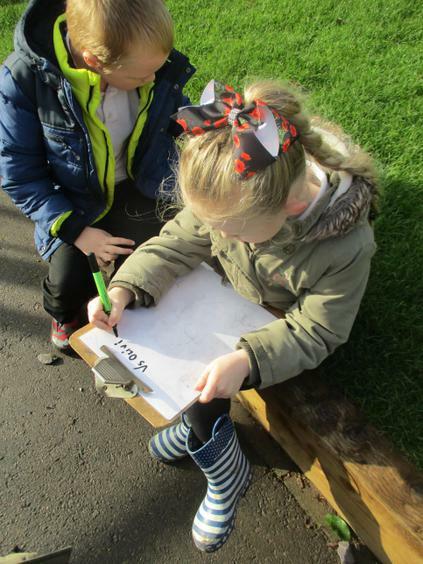 We believe these characteristics underpin learning and development across all areas and support the children to remain effective and motivated learners. 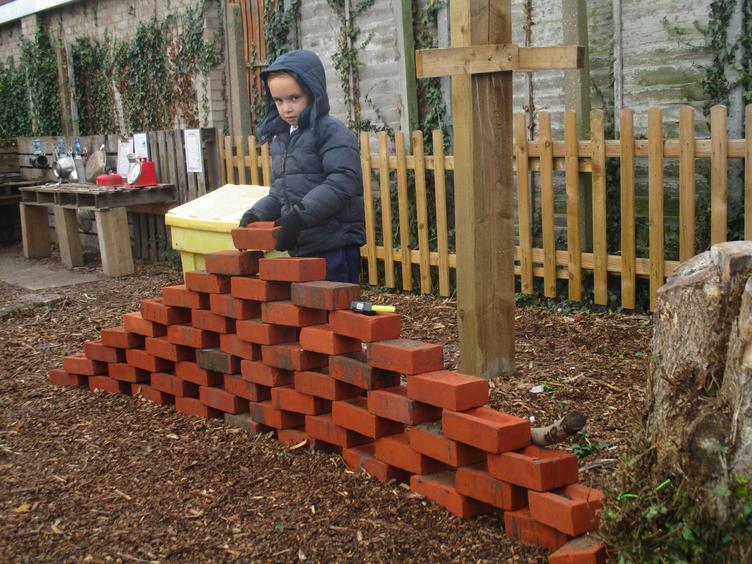 The skills that each learning behaviour promotes helps to develop our children into independent thinkers, creators, reflectors and collaborative learners. 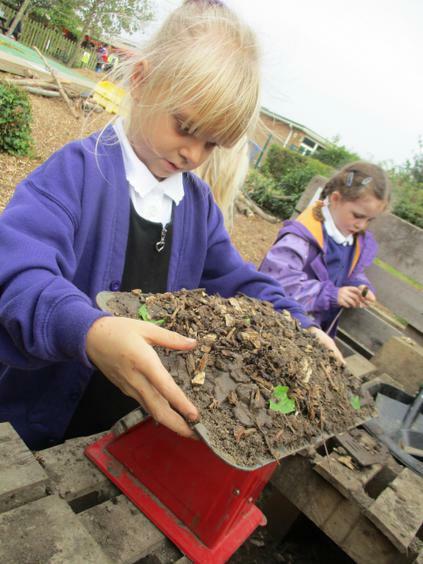 These skills contribute to aspects of wider life and further learning. 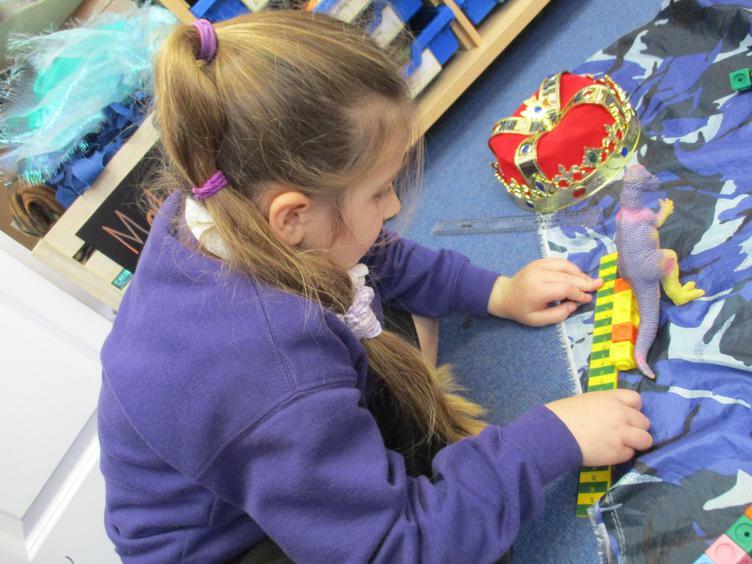 Our characteristics are represented by learning animals which the children use daily. 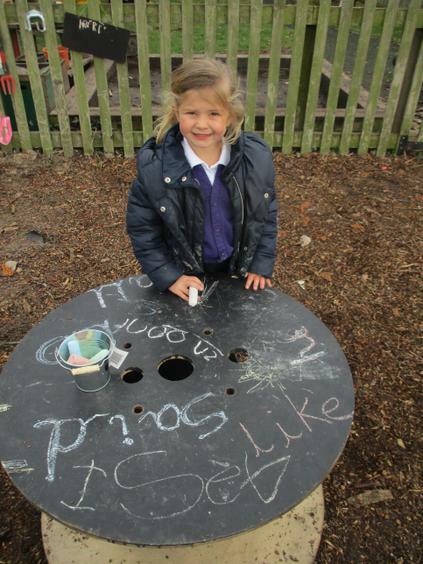 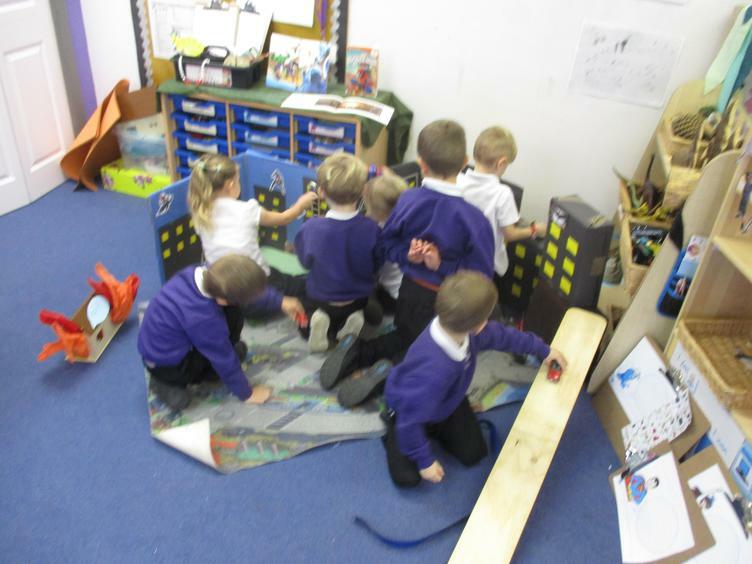 Our learning environment is planned through children’s self-initiated play, interests, next steps and EBL topic. 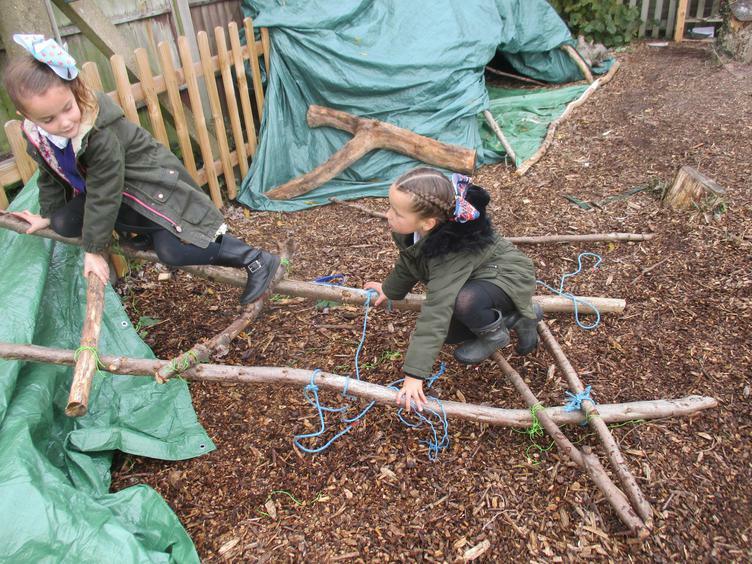 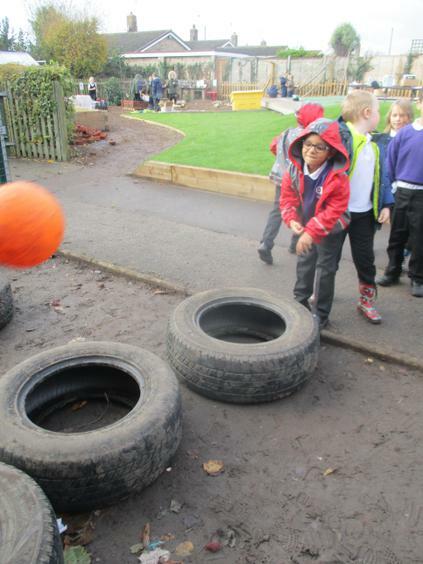 The purpose of continuous provision is ‘To continue the provision for learning in the absence of an adult’. 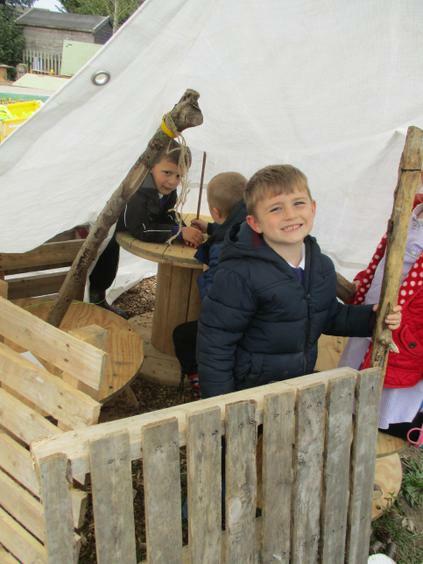 Each and every part of our learning environment has been carefully planned using our developmental curriculum, national curriculum and knowledge of our children to meet their needs and challenge their learning. 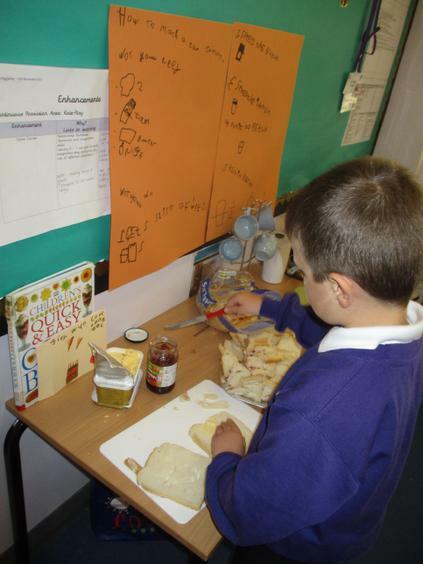 Within the continuous provision there are a series of open ended chilli challenges for the children to complete. 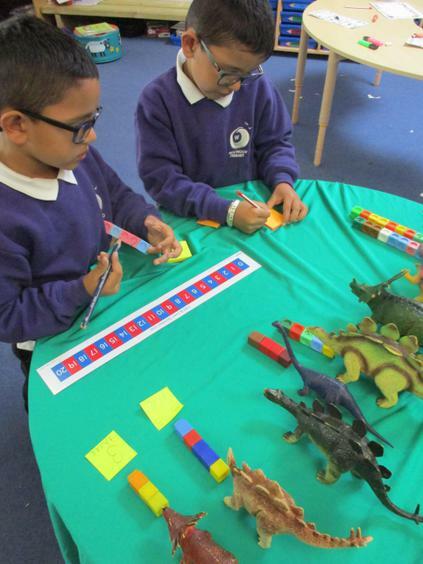 These challenges are planned for using the National Curriculum and differentiated to suit all children's needs, ensuring that there is further extension for the children that complete the challenge successfully. 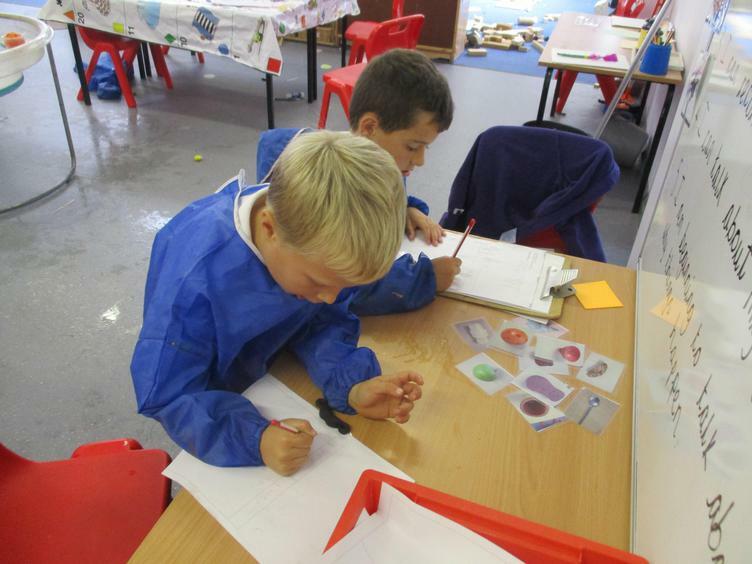 The children are expected to complete the challenge by solving the problem. 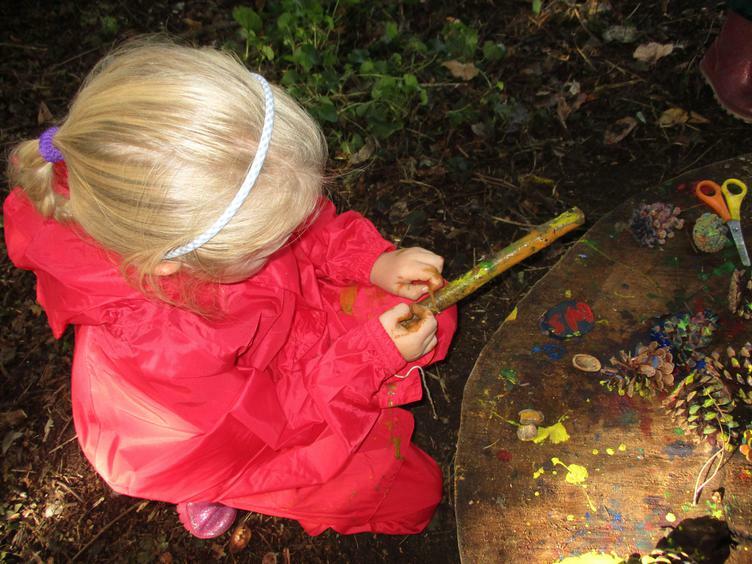 The challenges are developed from the children’s interest or next steps. 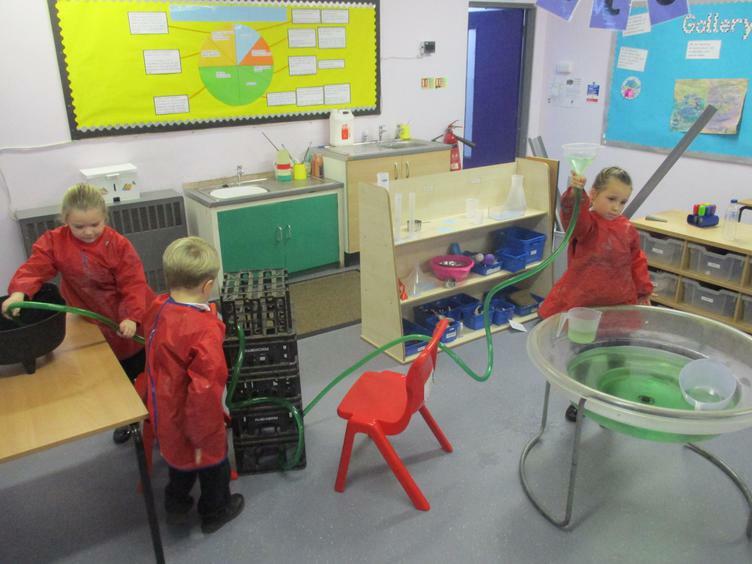 Children chose to investigate the plastic tubing, they started to notice the water moving and wanted to make it come out at the end. 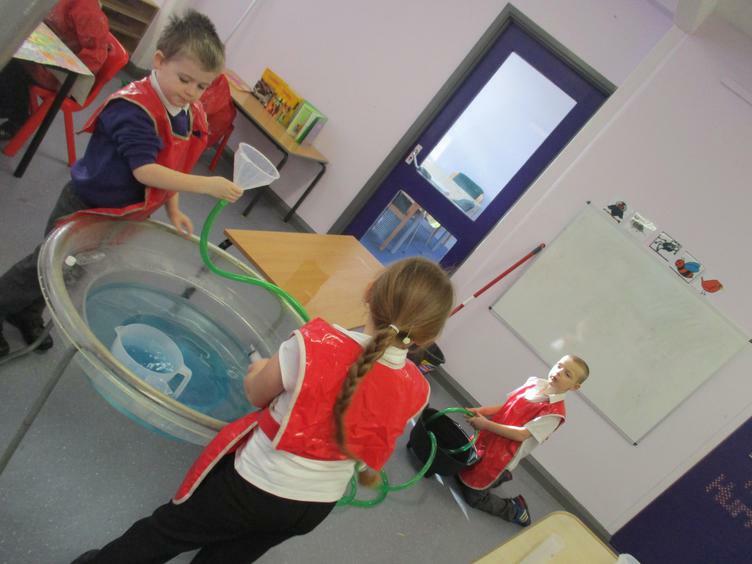 Challenge: Can you make the water move? 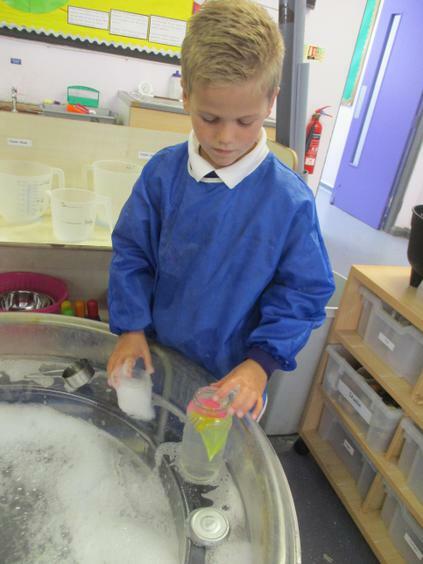 Learning objective: To observe water and investigate how to make it move. 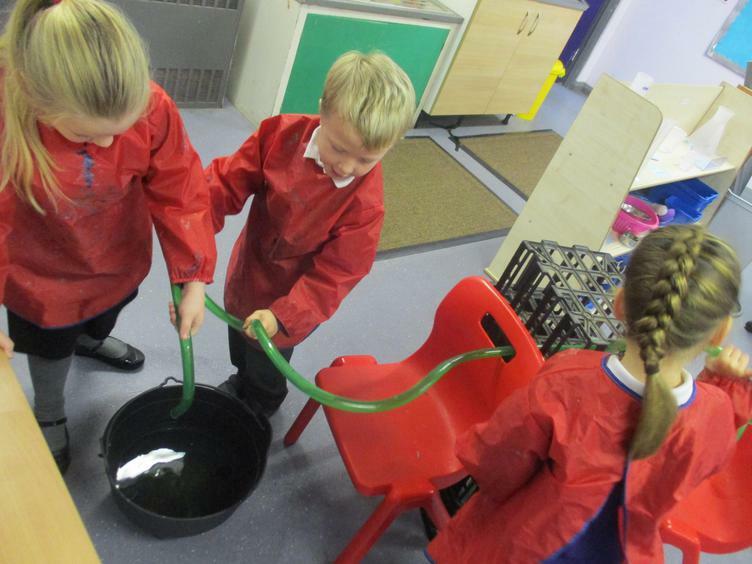 The children looked closely at the water moving through the tube. 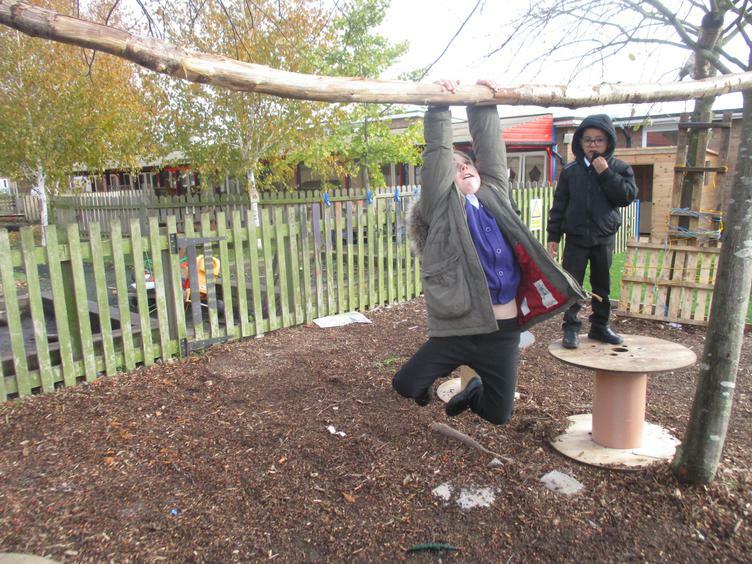 They noticed that the water is getting stuck in the tube and they could not get it to travel up hill. 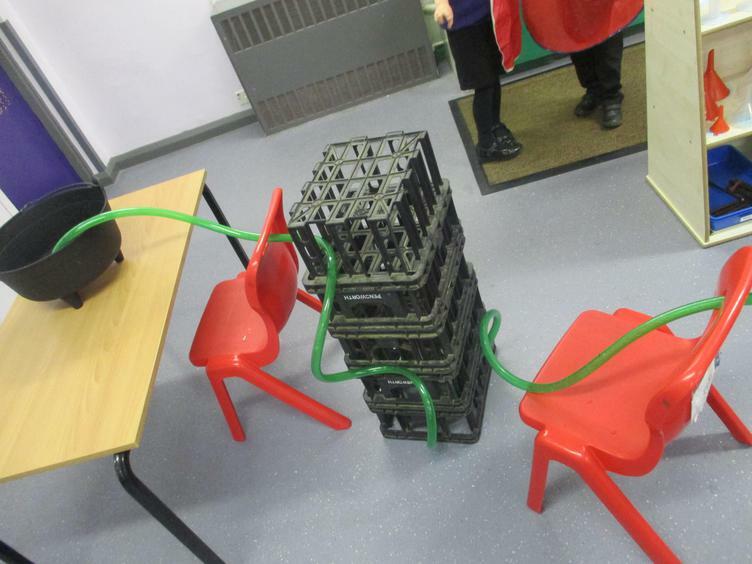 They decided to use a bigger jug and a bigger funnel. 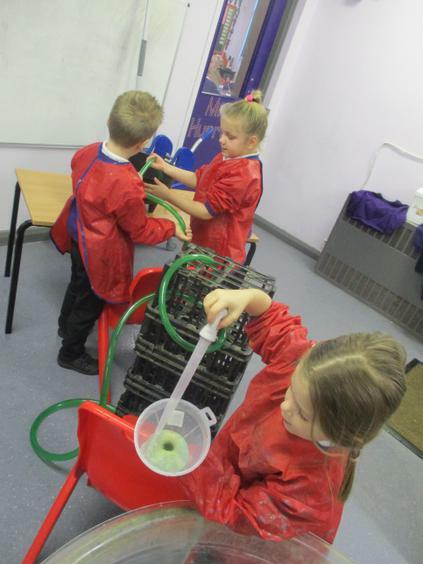 Soon the children noticed that if you hold the funnel up high the water moves quicker and comes out of the other end. 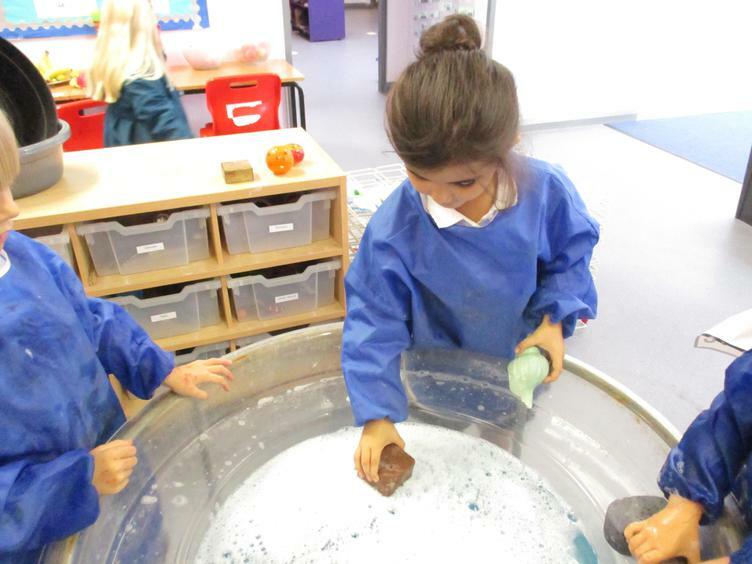 The children then used a sand timer to move as much water as possible in 3 mins. 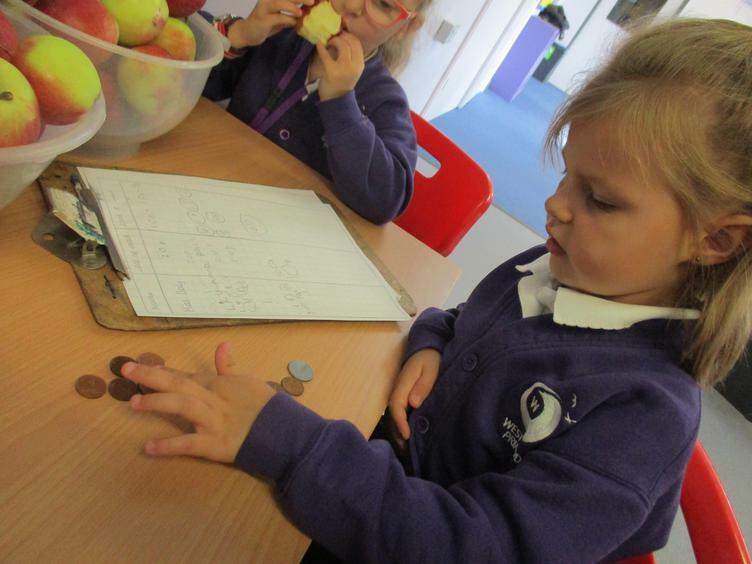 They then had to measure the amount of water that they had moved using the available resources.